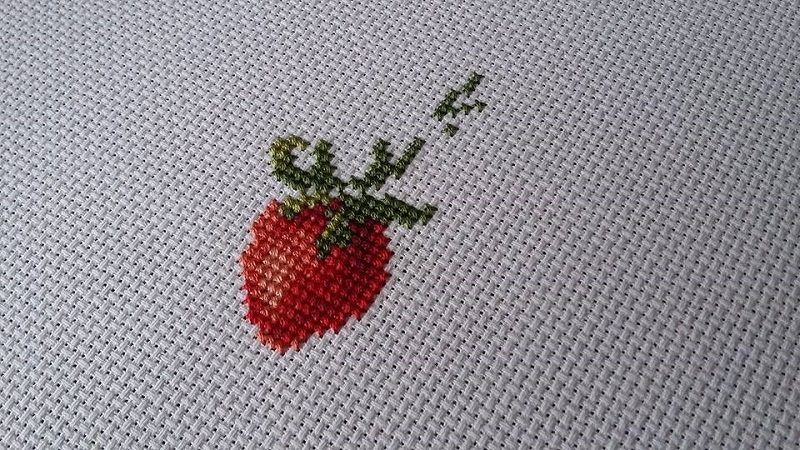 - Tangled Threads -: A single strawberry! It is a very pretty, solitary strawberry. Even though it's just one strawberry it's sure a pretty one. 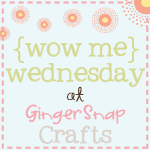 Hope you can find more time this week. Lol, love your solitary strawberry. 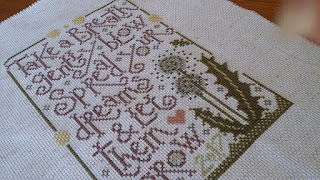 I think I must have a solitary geranium petal on mine :D Have fun working on this beautiful project. Well it's a beautiful strawberry! Sometimes a classic plain fabric is best. 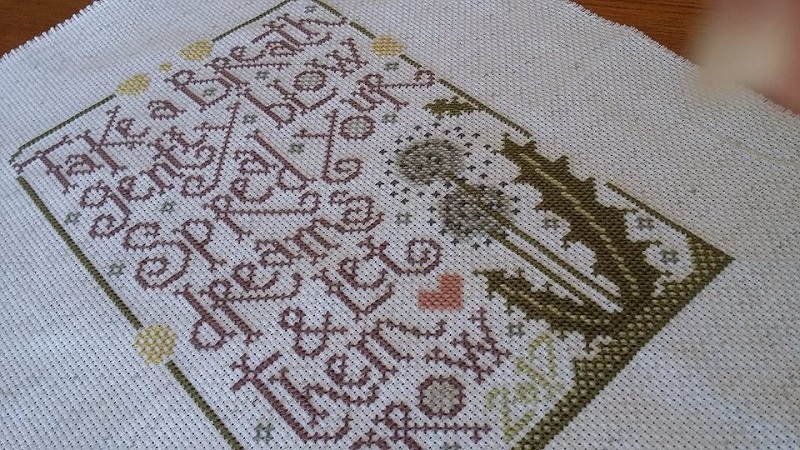 This is such a detailed design your colour choice will show it off perfectly. 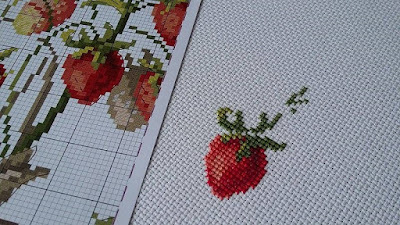 It is indeed a lovely strawberry, and one less to stitch now. Pretty little strawberry, even a tiny start is still a start! 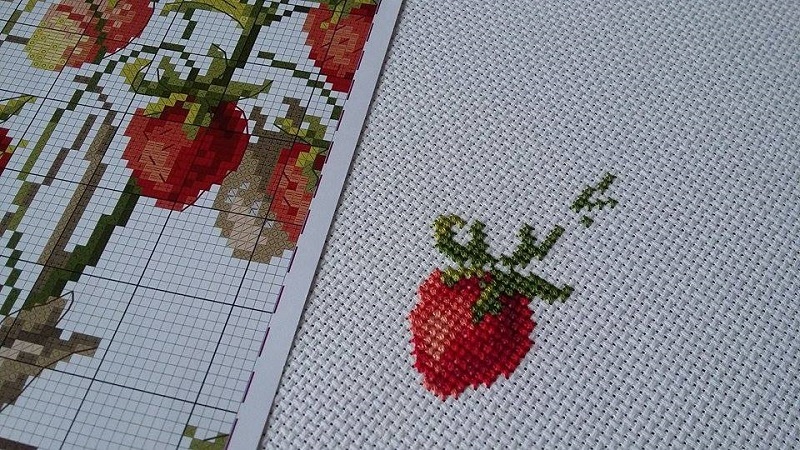 This strawberry stitching is beautiful!